Writing a history essay, just like pretty much any other paper out there, implies fitting in a lot of relevant information into the required page count. In case of a history essay this poses an extra challenge: after all, the deeper you dig down the paths of history, the more various interpretations of the same event you find. Your goal, however, is to provide factual information and analyze it in the most coherent way possible. This is the only way to show your professors you have a full grasp of the subject, which, in its turn, will positively reflect on your grade. Now, let’s try to see how you can achieve this very much desired effect. Preparation is an essential stage of any writing project; when it comes to history essay writing, though, it becomes simply essential. So, bear these simple guidelines in mind — they will help you save you a lot of time and effort. Whenever you are assigned a topic to write about, you should think of it as a specific question. Your goal is to answer it — as clearly and openly as possible. Your essay may be perfectly structured and formatted; it can explore some really bright ideas; it can even bring some innovative things to the table. Still, none of these will do you any good if you fail to answer the question asked — you will still lose precious points for not complying with the assignment prompt. A useful tip here would be to focus on the phrasing first. Pay attention to how the question is posed and which words it includes. If for instance, the prompt says “Can we truly call the First World War a Total War?”, the expressions you should focus on are “First World War” and “Total War.” Doing this will also prove handy on the research stage, as you can limit your googling to these particular keywords. The same goes for on-site search in the library — if you’re up for it, of course. Explanation of the event: what aspects led to it? An argument for the event: when working on a history essay, there are usually at least two perspectives to focus on. Choose one side of the argument you will be supporting. Even though your main argument may change as you are working on a history essay, it still helps a lot if you have one before you start. This statement should not be vague; it should also serve as the backbone for your essay, so try to make it as clear and comprehensible as possible. Make sure the thesis statement can be supported by at least three arguments; you may also want to include one opposing argument in your work. However, this decision is up to you. Any academic writing requires some scientific, factual evidence to support the main idea. This is especially true for a history essay. While researching the material, it is important to understand the difference between primary and secondary sources. Primary sources, in essence, mean first-hand accounts from people who lived in the historical time you are analyzing. In practice, every book/article written in a given period of time can be considered a primary source. Secondary sources, on the other hand, are written later than that and provide an analysis of primary sources. You may also want to involve tertiary sources that analyze and interpret both primary and secondary data; however, if you want the paper to have a higher standing in the academic world, you should limit the number of tertiary sources to a minimum. Depending on the type of history essay you are working on, it may include a certain combination of the sources described above. However, if you want to be 100% confident about your choice, it would best to consult your professor. All in all, most college-level essays should include at least one primary source and several secondary ones. While you cannot base your history essay on tertiary sources, they can come in pretty handy when looking for the material you will refer to in your work. Basically, tertiary sources are textbooks and encyclopedias. And the best thing is — all tertiary sources have lists of primary and secondary works, which makes them a great place to start researching. One more idea would be to actually visit a local library. First, not all research on the subject is replicated online — in case of a history essay this is quite a common situation. So, a little chat with the librarian can help you a lot. As a rule, the older the event, the less information is available on the subject online. This is exactly where the library comes in. Another common problem you may encounter when looking for academically acceptable resources is too much information on the subject, especially when you go online. If this is your case, forget about google.com and stick to specialized databases instead. Google Scholar is a nice start, as a rule. Also, remember that your college or university may also have an online database. The best thing about using it is that all sources listed there will be suitable for academic writing. The downside, however, is that it will be way more difficult to present your research in a new light. Does the author have a good standing in the scientific community? Is the publisher a reputable one? Does the publisher have any experience with the academic/scientific material? Has the material ever been republished? If yes, where? Can you find reference to this work in other scientific sources? If you can, in all honesty, give a ‘yes’ to all of these questions, you can safely include this source in your history essay. The more massive the event is, the more polar opposite representations you will come across. Remember, when writing a history essay, you are supposed to approach all material you see with a critical stance. The best way to achieve this effect is to ask yourself questions as you read. Is the author’s logic reasonable? Are his/her arguments justifiable? Are the arguments supported by actual evidence? Also, you are to look for gaps and weak points in the author's’ arguments. While it may be hard to find the ‘truth’ when it comes to a historical event, you can at least try to present the material that makes sense. This is the best tip that will not waste too much of your time on the research stage; however, just like an outline for an essay, research notes will help you save a lot of time on writing and structuring the paper. As you go over the material, mark strong arguments you plan to use in your work. Do not forget to mention the author and, if you are supposed to format a paper in MLA style, page number for the quote you are using. Now that you have an outline, a thesis, and argument to support it, you can actually start writing. Here are the most important parts to focus on here. This is the part that hooks the reader (in this case, your professor) and makes him read more. So, you should start it off brilliantly. A history anecdote can help achieve this effect; some unusual stats or data is also a nice start. Quotes can work as well. After that, you continue to introduce the importance of a topic in question. Make sure to stay brief, though. Remember, your professor probably knows about it more than you do, so he/she does not have to be heavily buttered. 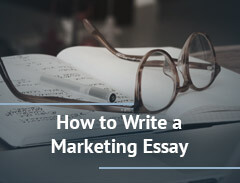 Finally, wrap up your intro with a thesis statement. As it was already mentioned, it should not take more than two sentences — better yet, even one. 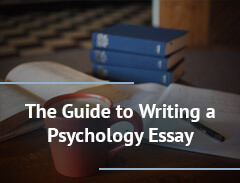 You will continue to prove your thesis statement in the main body of a history essay. Remember, you are to have one distinct thought per paragraph. Also, an impressive paragraph always starts with a topic sentence that summarizes the gist of what you are about to discuss. Finally, all paragraphs should be directly related to each other; so, make sure to include some logical transitions as you write. A conclusion is not just a summary of what you have already written. It is a place where you highlight the results of your work. In case of a history essay, you are supposed to prove your thesis statement correct. It is also common to restate your thesis once again — just to make sure the reader remembers it. Another way to write a great conclusion is to, once again, point out why your research is useful. When dealing with history assignments, you may also want to mention how the event you are analyzing has affected a present-day situation — this little trick should score you quite a lot of points on your history essay. Finally, do not forget to proofread the paper after you’re done. Better yet — get a friend and a group mate to help you — this way, it’s always easier to spot minor mistakes and inconsistencies.